We love documenting your family! On wedding day everyone’s happy, well-dressed and eager to be in a group photo with you. What a perfect time to document all your relations! While we can't guarantee every family group photo will be captured, we can attempt to capture all the family attendance. Family photos at Wedgewood usually take place soon after ceremony. Just after the recessional, you’ll be offered a champagne toast by the venue, then a few moments to sign the marriage license. We’ll begin to gather everyone for group photos. Most family group sessions last about 25 minutes. Allow for 4 minutes for each group photo. We’re flexible on family group photos and want to deliver the images you have in mind. Following is a list of the “Standard 6” common to most weddings. All families are different and we’re used to all sorts of variations on the basic theme of the “Standard 6”. Split families, large extended families, foster children, and special unrelated family friends are some of the possibilities. We recommend you share this page 1-7 days before the wedding with interested parties on both sides. They may help you consider whether to suggest alternates. We’re used to 2-5 additions. Beyond that, remember there’s plenty of time during the reception to put together casual groups. 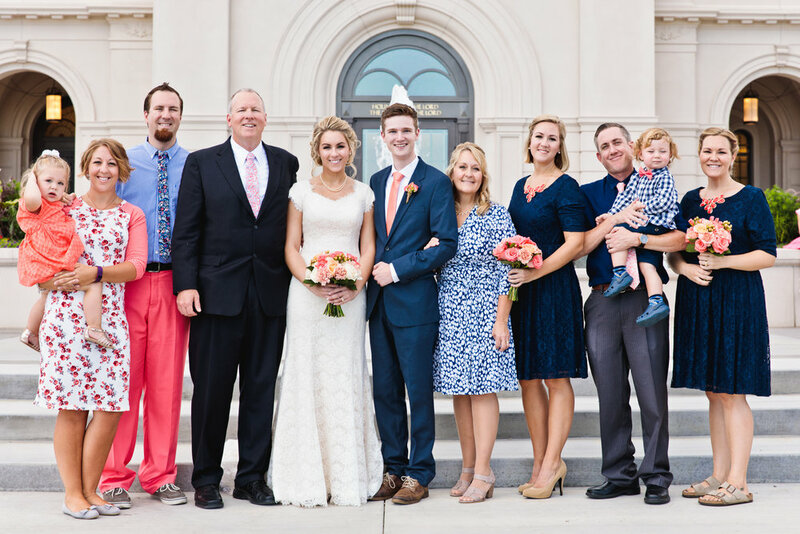 If you have a longer list of family group photo request, please appoint a family member to help round everyone up and assist in capturing the image request. We can help arrange for that photo shooting flow. Taking the photos is easy, getting everyone in the right spot is hard. 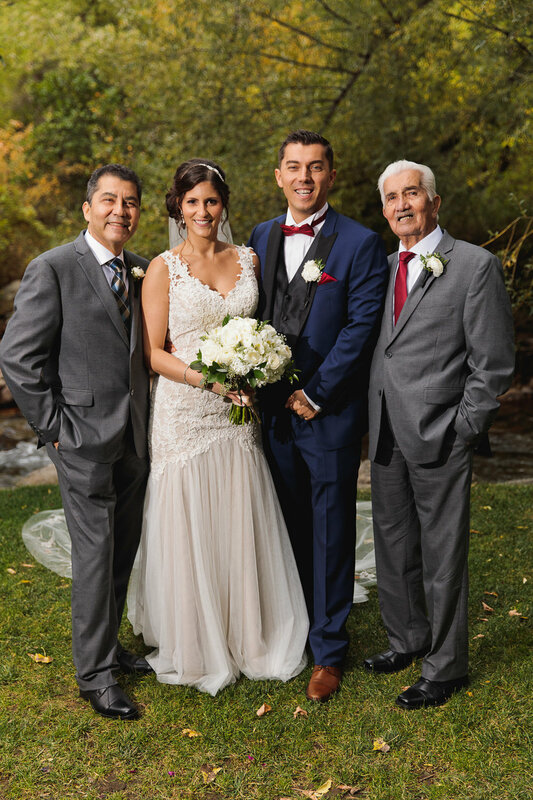 We've seen family group sessions take longer than expect because family members are elsewhere just after ceremony — perhaps in the parking lot or strolling the scenic venue grounds. At your rehearsal event the day before your wedding, mention to all family that group photos will be captured right after ceremony — moments after you sign the license.